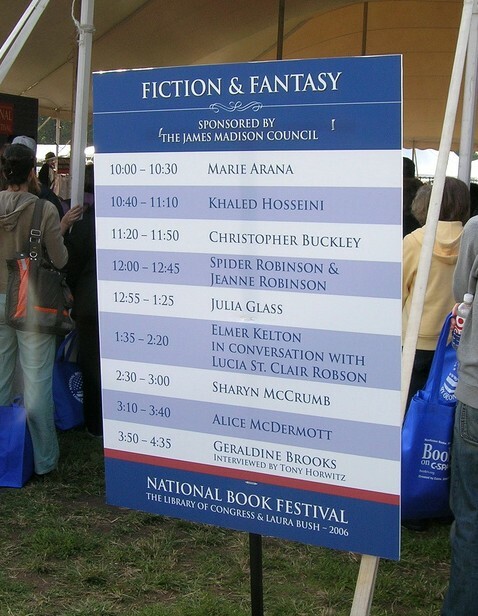 National Book Festival to be Two-Day Event, Sept. 24-25 – The Library Today (Library of Congress). But I wonder how many of us will have the stamina to go both days, if there are specific authors we’re eager to meet. It’s still hot and muggy in Washington in late September. Last year I was nearly the last actual media person remaining in the Media Tent when I had to leave at mid-afternoon because of the stifling heat and humidity. How will it affect your plans?